Although you may not realise it, you and hundreds and thousands of others are gamers—mobile gamers, that is. The platform has skyrocketed to become the most popular choice, with over 150,000 new titles released on mobiles in 2017 alone. That’s way over 100,000 more than those released on PCs and consoles combined in the last several years, as outlined by Mr Gamez’s insightful infographic. But what are the most popular mobile games of all? Many have dominated in recent years, but the following titles have come out on top—and you’ve likely had a hand in getting them there. This fast-paced platformer released in 2011 to acclaim—and is still frequently played by people across the world. Temple Run sees players control an Indiana Jones-type character as he runs through the jungle, escaping a temple with obstacles such as boulders and bridges to manoeuvre. Originally released at a cost of $0.99, Temple Run was later made free with in-app purchases—but it has still managed to gross over $1 million, with the app and its sequel racking up over a billion downloads in total. Disney even endorsed the app, releasing a spin-off version for its feature film, Brave. Although this game was terribly short-lived, Flappy Bird captured the attention of millions upon release. Players control a bird as it flies between green pipes, avoiding obstacles as it goes—a considerably simple premise, but the game still managed to earn over $50,000 a day from in-app advertisements, as well as being downloaded over 50 million times. Unfortunately the creator of the game, Dong Nguyen, couldn’t handle how wildly popular Flappy Bird had become and decided to remove the app from its respective marketplaces in early 2014. Thankfully, however, there is a browser version available alongside similar apps made by fans who simply couldn’t get enough. A strategy game that manages to pack a lot into its size for a mobile game, Clash of Clans was released in 2012 to great reviews—and thus was born one of the most successful and popular mobile games of all time. In Clash of Clans, you’re the chief of a village and are tasked with developing it into a fully-fledged town, all the while fighting off other real-life players. It’s estimated that Clash of Clans rakes in over $430,000 a day—a staggering amount, to say the least. The game remains one of the most popular on mobiles, too, with no signs of slowing down. It’s definitely one of the most important games ever released, not just on mobile but on any platform. You know a game is successful when a movie is launched off the back of it—and Angry Birds is revolutionary in that aspect. Nobody could have predicted the monumental impact this game would have later had during the time of its release back in 2009, but with multiple sequels and spin-offs, television series and, yes, a film following, its importance is undeniable. The game is still incredibly popular to this day, with players worldwide falling in love with Angry Birds’ characters. They were brought to life with the Angry Birds Movie in 2016, which starred actors such as Maya Rudolph, Bill Hader and Kate McKinnon—and some of the originals will return for the planned sequel, which was announced earlier this year. Any game which allowed players to capture their very own Pokémon is bound to be successful, and Pokémon Go! was just that—using the magic of augmented reality, the game hid specimens around players’ neighbourhoods, allowing them to head out upon the streets and quite literally catch them all. 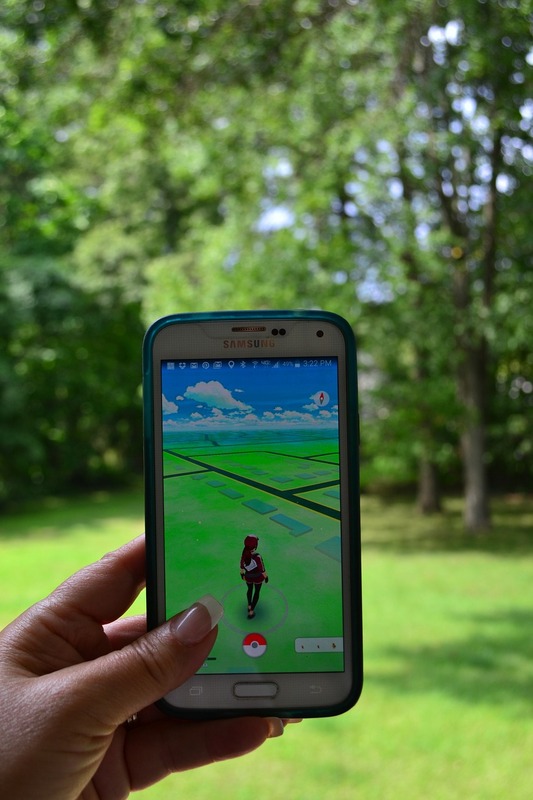 Of course, it wasn’t without its controversy—questions arose over the app’s safety, especially for young children, as well as the locations in which you were able to discover Pokémon—but the game was revolutionary for mobile, and brought fans together to go hunting for rare Pokémon in their neighbourhoods and beyond. Take a look at Mr Gamez’s insightful infographic to discover even more about the fascinating world of mobile gaming—its impact may surprise you.